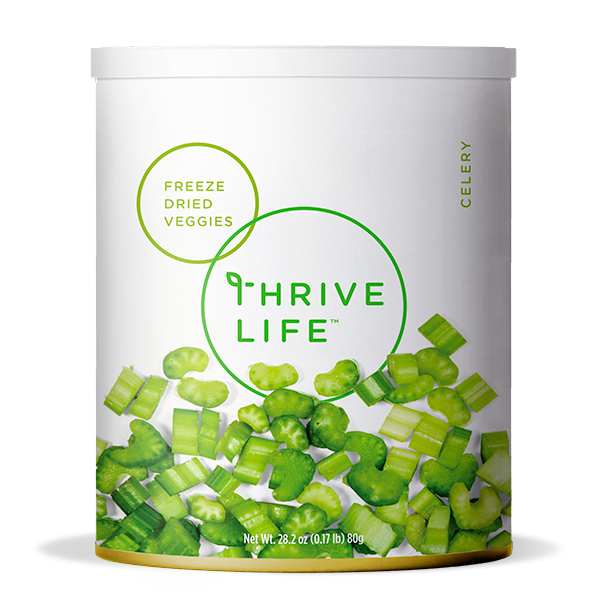 THRIVE™ Celery can easily be added to soups or salads for extra flavor and nutrition. Also try celery in stuffing or casseroles. THRIVE Celery has an extended shelf life, so you can be certain that you will always have it on hand when you want to add a dash of delicious flavor to your dinner line-up. Add ⅓ cup of water to 1 cup of THRIVE™ Celery. Let sit for 5–10 minutes, then drain any excess water. These small dices are a staple for soups and add the perfect crunch to chicken and egg salads.